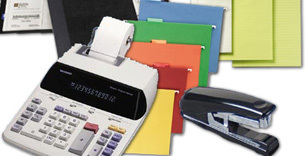 Detailed information and reviews of US shops, stores, manufacturers and suppliers of office stationery, furniture, equipment, machines and consumables. Post your requirements and receive no obligation price estimates and quotes. Envelope price quote - I'd like pricing for ivory stationery envelopes printed in color (2 colors) with our logo. Mutiple function -FAX machine - I would like to request a quote on a MFC Lexmark Interpret 90T4005.